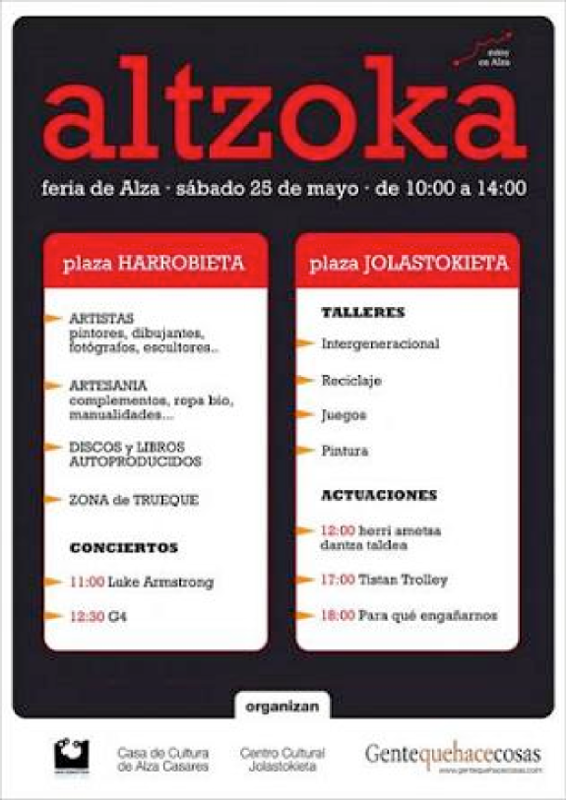 On Saturday 24th May Gentequehacecosas are returning to Alza with the second edition of Altzoka, the Alza fair. 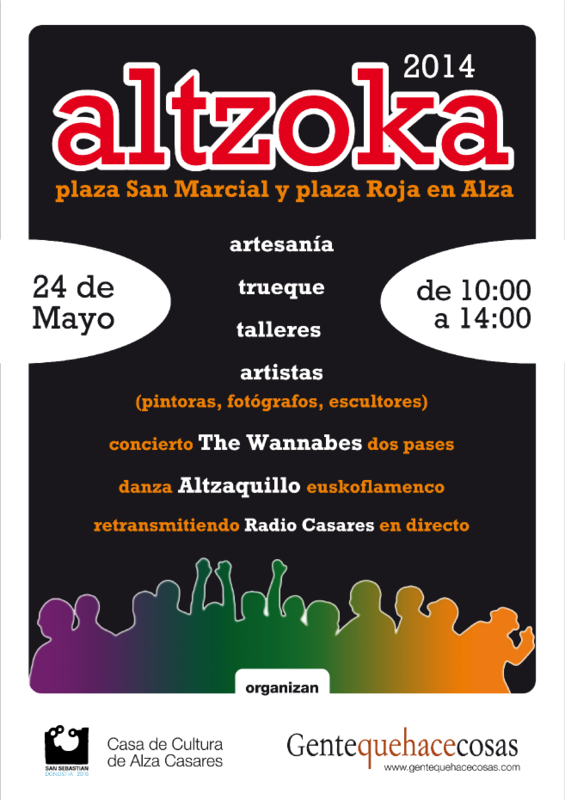 Altzoka is one of the principal projects of Gentequehacecosas, a non-proﬁt association which is dedicated to supporting local culture and talent. Altzoka is about providing local people with a platform which they can use to present their work or produce in the often overlooked neighbourhood of Alza. What's more, it's a fun day out for all of the family and has something for everyone - last year was the fair's ﬁrst year and it was a great success. 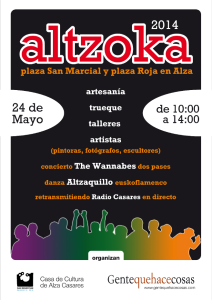 There are markets, concerts (this year, 'The Wannabes' are playing) and activities for kids and elderly people. In the markets you'll ﬁnd: homemade jewellery; artwork; books; self-produced CDs; bags; photographs; fair-trade food; alternative medicine; locally designed t-shirts; ecological clothes; exchange stalls... and much more. Everything is provided by local ‘cultural agents' and, in the vast majority of cases, the person manning the stall is the person who made what is on sale. How can I get involved or set up my own stall? Get in touch with Josetxo (Josetxo@gentequehacecosas). Where can I ﬁnd out more about it? 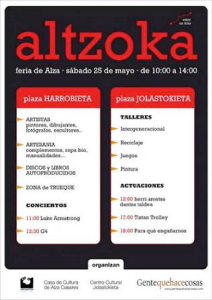 The association's website is www.gentequehacecosas.com and there's a video of last year's fair on youtube at https://www.youtube.com/watch?v=r7C6azTSu_s&feature=youtu.be.